The practice of orthodontics is very young in South-South Nigeria and there is need for base line data for informed planning. This study was carried out to investigate the self-perception of malocclusion among Nigerian school children aged 12 to 18 years in order to compare their perception with that of an orthodontist and also to determine the influence of gender and age on self-perception. A total of 612 randomly selected schoolchildren comprising 299 (48.9%) males and 313 (51.1%) females with a mean age of 15 + 2.0 years were included in the study, the Aesthetic Component (AC) of the Index of Orthodontic Treatment Need (IOTN) was the instrument used to measure the perception of malocclusion by both the school children and the orthodontist. Majority of the students (82.5%) rated their teeth towards the more attractive end of the scale (Grades 1-4). Although self - perception was not found to be related to gender, older children (16-18 years) had an increased level of perception of need. Males and older children were found to be more in need of treatment by the orthodontist. A significant difference was found between the orthodontist’s rating and the students’ ratings of the attractiveness of their occlusions. Age and gender were not found to influence self- perceived orthodontic treatment need. Therefore, for effective orthodontic care, self- perception and not only professional assessment must be taken into consideration when formulating treatment plans to ensure patient satisfaction. 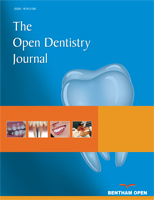 Keywords: Children, Malocclusion, Orthodontist’s perception, Self-perception. © Aikins et al. ; Licensee Bentham Open.